to retire between 60 and 65. Early retirement might be wonderful if you can afford it…but there are some very dangerous ways that many early retirees sabotage their own retirements. Making an early-retirement dream a reality requires even more careful planning than with a typical retirement. You have fewer years to save and a longer wait for government retirement benefits. What’s more, recent economic trends could present additional challenges for early retirees. Health-care costs continue rising…inflation may be increasing as well…and some financial professionals are predicting an end to the stock bull market before long, which could threaten the value of retirement savings. Mistake #1: Not considering a phased retirement. Many would-be early retirees simply pick an age at which they want to stop working and then try to figure out how much they’ll need to save to reach that goal. But this black-and-white, by-the-numbers approach doesn’t reflect the reality that retirement comes in many shades and can include a more gradual phase-out from your career, such as downshifting to part-time work…working more hours from home…or switching to a less stressful job. This kind of transition helps bridge the potential financial and psychological gaps between a career and full retirement. To do this, rather than focusing on the day you’ll stop working altogether, think about a period when you’ll start working less, then envision possible scenarios to carry you to full retirement age. Example: A 45-year-old making $100,000 per year is hoping to retire at age 55. To collect larger monthly benefits, he plans to wait until age 67 to start drawing from Social Security—five years after he becomes eligible. (Every year you wait to claim Social Security between age 62 and 70 results in roughly an 8% higher payout. See Mistake #3 for more Social Security advice.) This strategy might provide about $31,000 in Social Security benefits per year, though the exact figure would depend on his salary history. Rather than ceasing work entirely at age 55 and covering all expenses from savings until he collects Social Security, he could plan to gradually reduce his workload, generating wages of, say, $50,000 per year from age 55 to 59 and $30,000 from age 60 to 63. That way, he would have a much shorter period to rely solely on savings before claiming Social Security, and he would still be fully retired by age 63. Plus, he will retire with an extra $370,000. Mistake #2: Failing to establish multiple income streams. Preparing for early retirement involves more than just building a nest egg until it reaches a certain size and then tapping that money to pay living expenses. To maintain the retirement lifestyle you envision, it can be very helpful to have income from multiple sources—not just traditional retirement savings and investment accounts. Reasons: There is a psychological benefit from not having to depend on a single source of income. Also, investors can’t begin taking withdrawals from IRAs and 401(k)s before age 59½ without facing a 10% penalty on those withdrawals—reducing the net income you receive and creating greater risk that you’ll deplete your savings ­during a long retirement. Instead, develop a plan that includes additional sources of income that you can tap before age 59½. These might include taxable brokerage accounts that hold income-producing investments such as bonds and dividend-paying stocks…part-time work (discussed in Mistake #1)…and income-producing assets outside your retirement accounts, such as rental real estate. Caution: Many early retirees tend to keep a large portion of their investments in stocks and other growth investments to help their savings last during a longer retirement. Although this approach can work very well as long as stocks do well, a sharp market downturn during the first few years of retirement can have a disproportionally damaging effect on your long-term wealth—a phenomenon known as sequence-of-returns risk. Making withdrawals from accounts that have declined in value due to market downturns requires you to liquidate more of your assets to maintain your desired income level. What to do: Early retirees should plan to be flexible, based on market conditions, with the amount they withdraw from investment accounts each year. Mistake #3: Waiting too long to start collecting Social Security. Waiting as long as possible to collect Social Security makes good ­financial sense for many retirees. The longer you wait up to age 70, the more you will collect each month for the rest of your life. (There’s no benefit to waiting until after age 70 because age 70 is when your maximum possible benefit is reached.) For early retirees, however, it can make sense to start taking Social Security earlier to reduce your reliance on your other financial assets. Consider your total income needs. If this amount would require you to withdraw more than 5% per year from your retirement account (which would increase your risk of draining the account prematurely), consider claiming Social Security at age 62—the current minimum eligibility age. If you retire at an age older than 62, consider claiming Social Security the year that you retire rather than waiting until you turn 70 (the age at which you can collect maximum benefits). Adding Social Security income early in retirement could reduce the risk of depleting your savings from excessive withdrawals even though you’re receiving a smaller monthly benefit. Mistake #4: Failing to visit a health insurance specialist. Most working adults get health insurance through their employers, while those who retire at age 65 or older are covered largely through Medicare. Early retirees fall between those groups and face a bewildering array of health insurance options—made even more confusing by current uncertainty in the health insurance landscape. To help sort through these options, consider asking a financial adviser to recommend a health insurance specialist who can examine the options available in your state. Examples: If your spouse continues to work, you could join his/her plan. Or you might examine your state’s health-care exchange through the Affordable Care Act, which remains an option for at least the time being. Because your income might be lower after retirement, you might qualify for tax credits that help offset premium payments. Or consider Direct Primary Care, an alternative model for health insurance that charges a flat monthly fee covering routine primary care services. And you may want to consider buying long-term-care insurance before you retire, as the premiums increase based on the age at which you start a policy. Mistake #5: Failing to factor in the cost of supporting grown children. Roughly 40% of parents are providing adult children some level of financial support. This financial burden falls especially heavily on early retirees, whose children are likely to be younger and even more dependent than average. It’s not unusual for parents to spend more than $1,000 per month supporting their grown children, especially if more than one is dependent on them. If you plan to retire while your children are not financially independent, you must either plan to cut them off when you retire or factor them in as an expense. Helpful: Talk to your adult children before you retire to establish reasonable expectations for your support—both the amount of money you’re willing to give them and how long you will keep giving it. 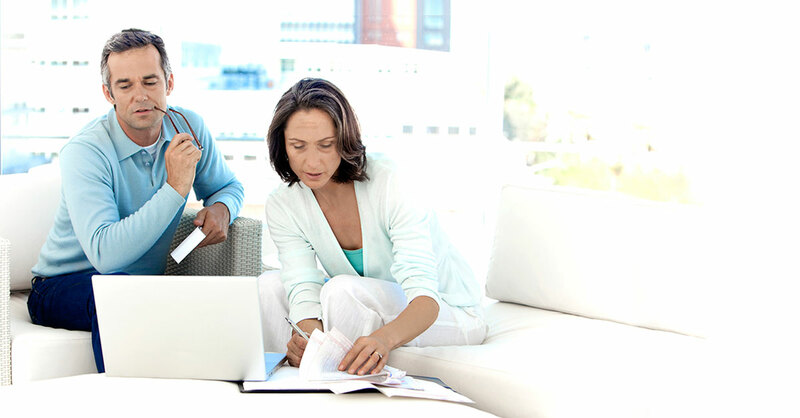 These conversations can help prevent additional requests for money that might threaten your financial plan.